Study of the past times of his natal village, Guissona, and its surroundings. 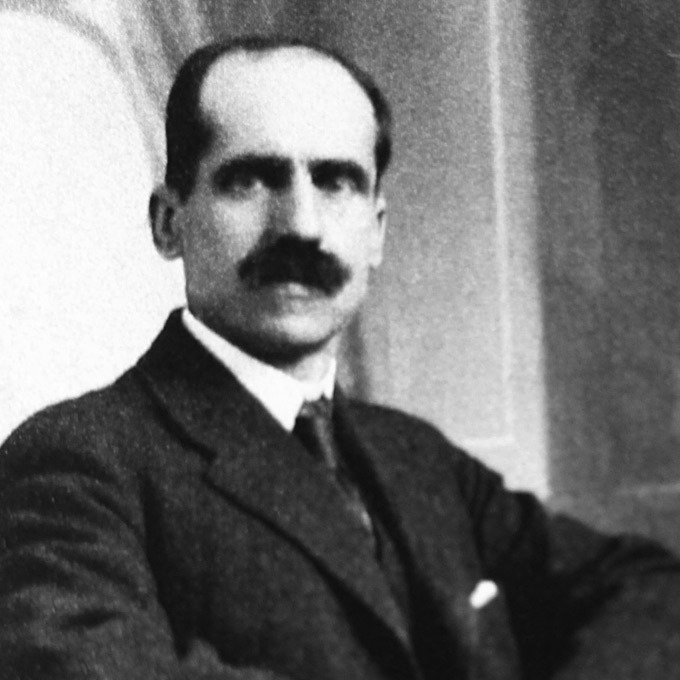 The history of the Museu de Guissona goes back to the first half of the twentieth century, thanks to the interest of local erudite Eduard Camps i Cava (1879-1954) for History. At the turn of the twentieth century, the young Eduard Camps combined the practice of his medical profession with the study of the past times of his natal village, Guissona, and its surroundings. 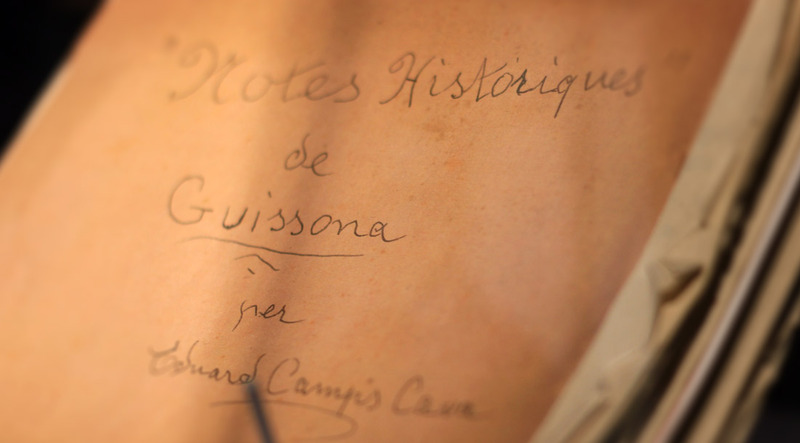 In the course of the years he collected historical information and archaeological pieces found in the Plana de Guissona, as a result of which he began writing his Notes històriques de Guissona –a book published posthumously in 1982 with the title Guissona- and various essays in specialized magazines. In 1952, he donated his important private collection to the Town Council in order to create the first Museu de Guissona, which was set up in the ground floor of the city hall. A board of management was created and in 1953 its regulations were approved. In 1983, the collection was moved to the old Hospital of Guissona, then a Culture House, in which chapel the new museum was housed. A new exposition model called “Guissona-Iesso 1983” was used and the pieces from the late Bronze Age until the Roman times found in the area were exposed. At that moment, some local people interested in archaeology also donated pieces that they had been collecting in the course of the years. This project, nevertheless, did not last much time since it was not possible to have a body which supported the proposal and many objects were retrieved from the museum by their owners. Thus, the old chapel was kept as a museum but without an expositive discourse or a museistic articulation. In 1995, the Patronat de Arqueologia de Guissona was created. The object of this institution was to reorganize the museum following a museographic interpretative line, through a rigorous and scientific management of the archaeological and historical heritage of Guissona. The reorganization of the Museu de Guissona started in 1997. A large space was created with different areas: one for visitors’ reception –which would also served as a tourism office-, one for the permanent exhibition, one for temporary exhibitions, one for technical services and management, one for investigators and consulting, and finally one to be used as storeroom and reserve. The new museum was inaugurated in 2000. After a decade, the needs had changed and the number of pieces found in the Roman city of Iesso had increased considerably. This required once more a new museum: more modern, more didactical and representative of the archaeology of Guissona and which emphasized the importance of the Roman site. In 2010, the ground floor of the building known as “La Fassina” was restored in order to be used as new museum site, next to the Parc Arqueològic. Thus, the museum’s archaeological heritage and the Parc Arqueològic were one next to the other. In the latter you can follow a route through the Roman Iesso and in the museum you can see the resources that attracted the Romans to this area, the background of the village and its geographical situation, the re-creation of a Roman home representing the daily life, a necropolis, an audiovisual and, finally, a brief touch of the Guissona development up to the present. The wall, the entrance, the houses and the thermal baths will serve to us to know the Roman splendor of the city. We will go back more than two thousand years, when the Romans arrived and founded the old Iesso.